Weather: Cold and Overcast. Light breeze from the south. 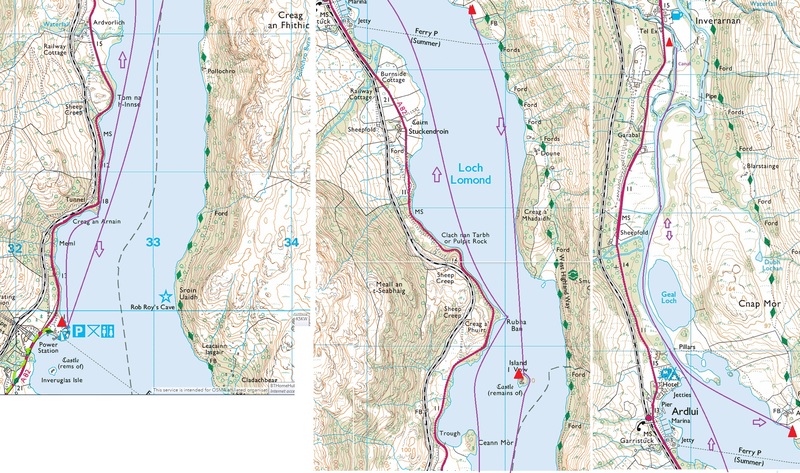 Report: The north end of Loch Lomond is usually ignored in favour of the islands or Loch Long or the Clyde. It has, however, its own attractions; a fiord like landscape, a lovely isle and its own canal. The last of these was dug out on the bed of the Allt Arnan to extend the water route to the West Highlands as far as possible in Glen Falloch to the Drovers Inn. 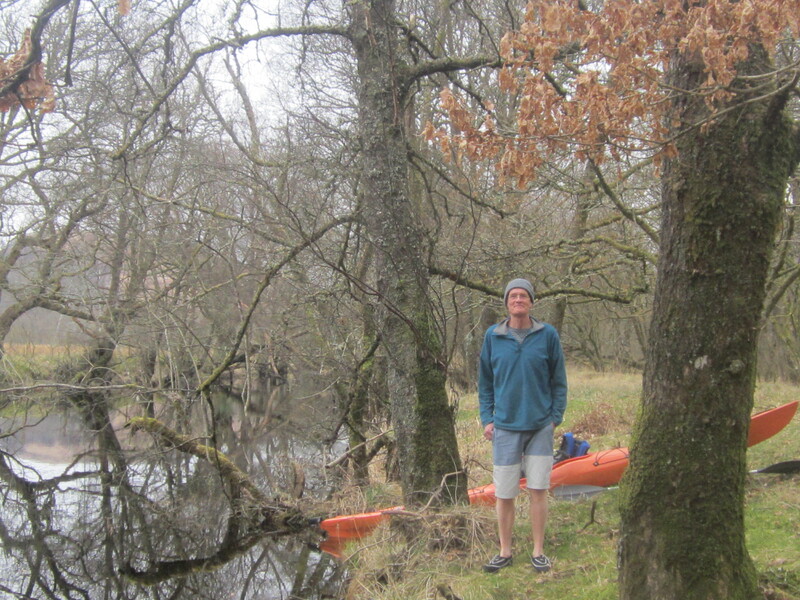 It still exists but paddling it between the fallen trees is something of a challenge if still possible. 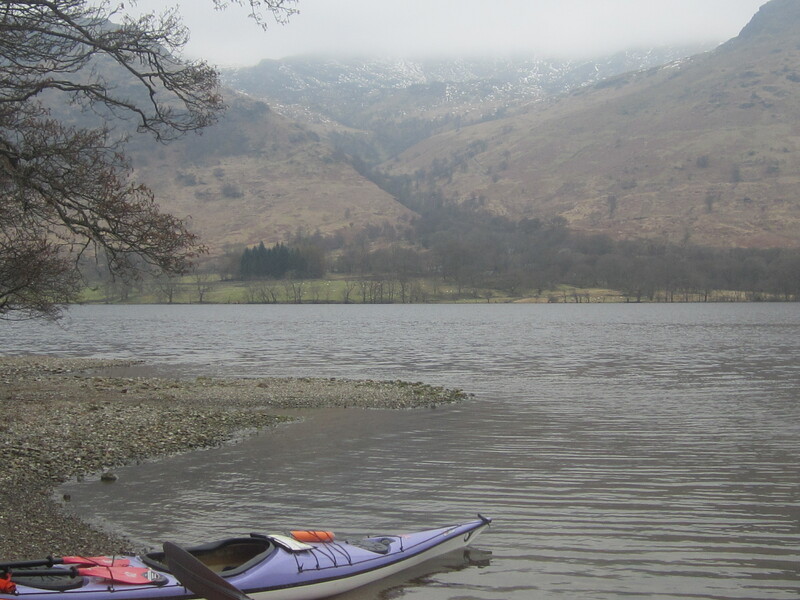 We started at the car park by Loch Sloy where you can get down to a couple of small beaches. 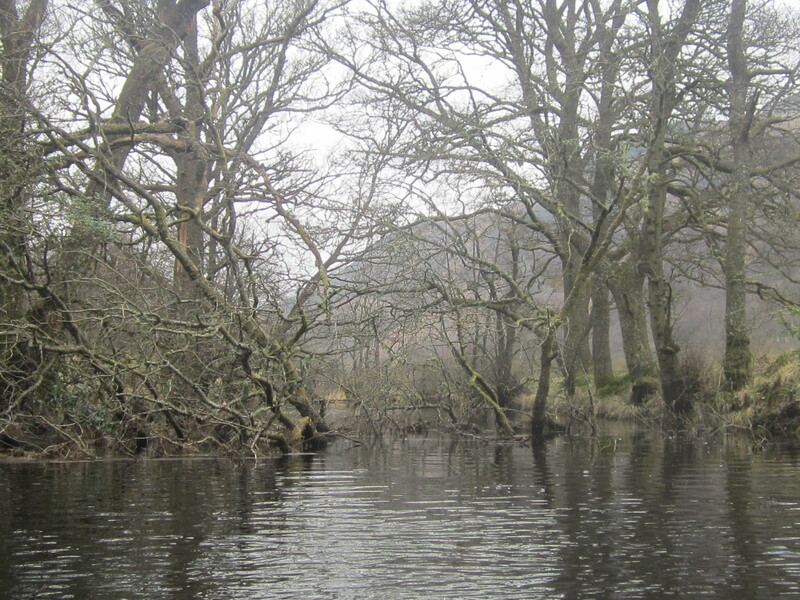 From there we headed up the loch, past Ardlui and on to the Falloch. Where it suddenly turns east the canal can be seen behind a hedge of tree branches. Pushing through the canal carries on for around 1km which is navigable, albeit with a lot of twisting and turning through fallen trees. It eventually widens (a turning circle?) but we could not even get into it and landed with some difficulty. The Drovers is about 100m away. The Drovers serves a good, if expensive bowl of soup; ideal for the cold conditions we experienced. 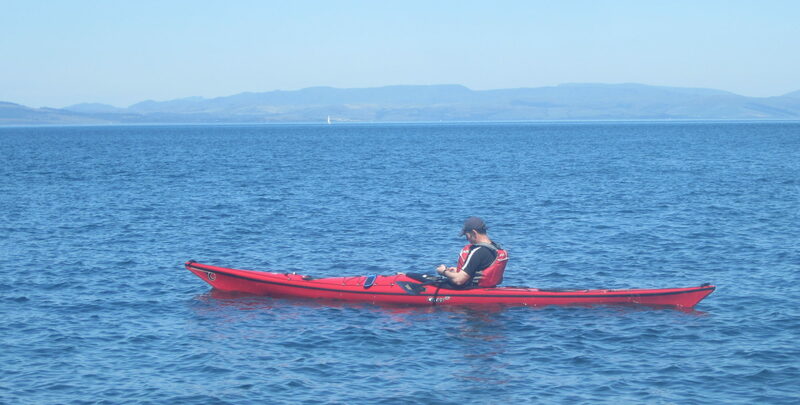 The paddle back south was into the breeze which was noticeable without significantly impeding progress. The cloud covered the tops but was high enough to expose the snow still lying. We stopped for lunch at the ruined hamlet of Ardleish and the lovely Island I Vow which has a nice camp site and a castle with a dungeon. 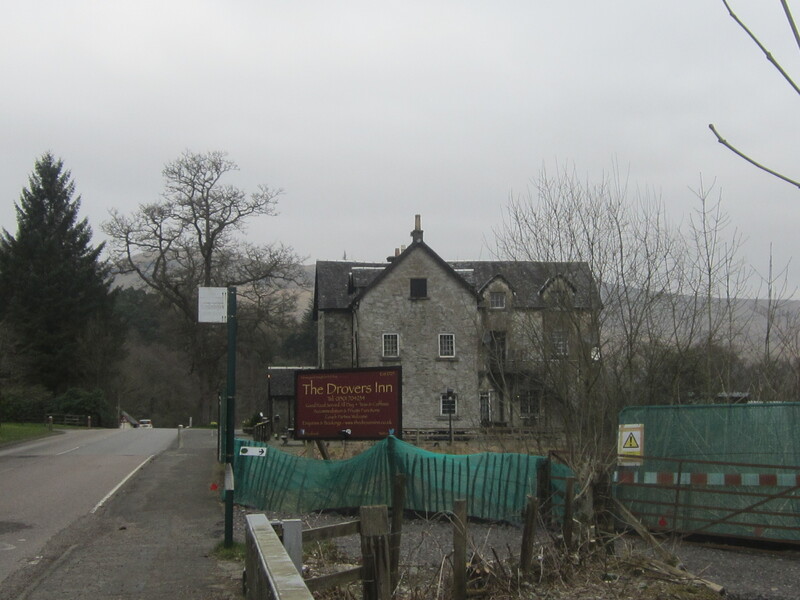 We arrived back at 4pm having left at about 10.30 and had over an hour for lunch at the Inverarnan and Ardleish. The total distance was just under 20km, a cruisng rate of just under 5kph; 3 knots. Next PostNext What Happens after the Basic Skills Course?